Adams Morgan Animal Hospital is a full service animal hospital, located in Washington, D.C.
We do not see appointments the 1st Thursday of each month due to Doctor’s Continuing Education classes. Adams Morgan Animal Hospital is a full-service Veterinary medical facility, located in Washington, D.C. The professional and courteous staff at Adams Morgan Animal Hospital seeks to provide the best possible medical, surgical and dental care for their valued patients. Our health care team loves animals as much as you do and are here to keep your pets healthy and happy! We pride ourselves on providing healthcare with a personal touch in a family-like atmosphere. 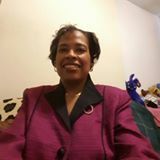 We are active in the Adams Morgan community by either volunteering to speak to elementary school students or by participating in Adams Morgan themed festivals. We also provide veterinary care to Washington, D.C. police K-9 unit. We are contributors to PETS D.C.
Our highly trained and compassionate team proudly provides exceptional animal care! Routine and preventive dental care is vital to your pet’s long term health! 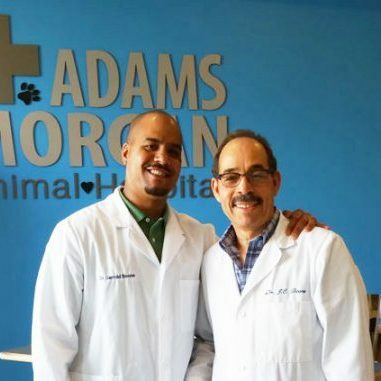 From routine to advanced surgical procedures, the experienced team at Adams Morgan Animal Hospital will ensure your pet receives the most positive outcome. Heading out of town? We’ve got room in our cat condo for your feline friend! Happy Friday all of our furry clients! Wishing you a fun + happy Spring weekend! – AMAH #amah #adamsmorgananimalhospital #metrocd #animalhospitalofDC..
Adams Morgan Animal Hospital has been incredible with my new puppy, Oscar. From his first shots to his first cold, they have coached me through and made sure Oscar knows he is loved! I couldn't ask for a better animal hospital! My family & I have taken our pets here for years! Both Dr. Boones have always given the best care to our pets. They treat them as their own! The entire staff is friendly and efficient. We wouldn't go anywhere else!